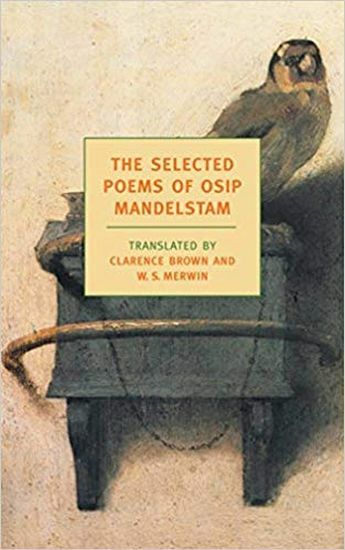 Osip Mandelstam is a central figure not only in modern Russian but in world poetry, the author of some of the most haunting and memorable poems of the twentieth century. A contemporary of Anna Akhmatova, Marina Tsvetayeva, and Boris Pasternak, a touchstone for later masters such as Paul Celan and Robert Lowell, Mandelstam was a crucial instigator of the "revolution of the word" that took place in St. Petersburg, only to be crushed by the Bolshevik Revolution. Mandelstam's last poems, written in the interval between his exile to the provinces by Stalin and his death in the Gulag, are an extraordinary testament to the endurance of art in the presence of terror. This book represents a collaboration between the scholar Clarence Brown and W. S. Merwin, one of contemporary America's finest poets and translators. It also includes Mandelstam's "Conversation on Dante," an uncategorizable work of genius containing the poet's deepest reflections on the nature of the poetic process.